I really wanted to bake something this long weekend and couldn’t decide what to try! I’ve baked a lot of cookies & muffins and wanted to try something different. I racked my mind to think of my favourite sweet treats to eat and landed on some Pecan Butter Tarts that my mom would bake during the holiday season (she’s an amazing baker!). This recipe is super easy to make and screams homemade- although I cheat a little and use the pre made tarts to save on time! If you want to go all out, definitely source a pastry recipe and make your own pastry dough. These tarts are also a great treat to keep in the freezer and bring out when you have company over. Enjoy!! COMBINE: mix all ingredients together except pecans – then after ingredients are well blended stir in pecans. Fill tart shells 2/3 full. BAKE: at 450F degrees for 8 minutes, then reduce temperature to 350F degrees and bake for 15 to 20 minutes longer or until pastry is delicately brown. Let tarts cool down before serving – they’re good to freeze too if they’re not all consumed! 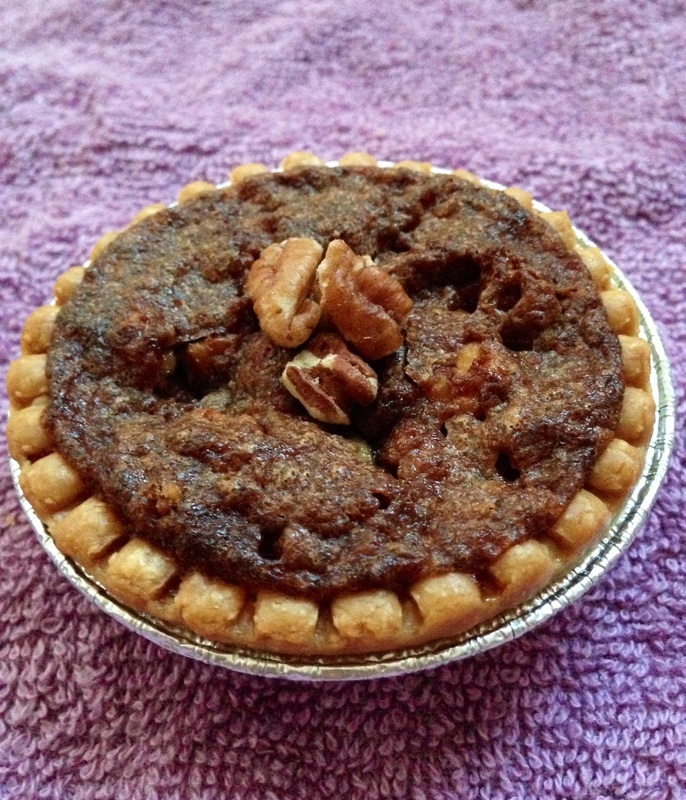 Posted in Baking, TartsTagged baking, butter, canadian, classic, dessert, food, pecan, recipes, tarts, treatsBookmark the permalink. Ah! I cannot remember the last time I had a pecan/ treacle tart! I hope you tried baking these!! The recipe is so easy and so yummy!